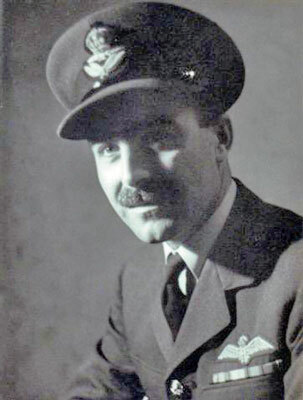 Wilfred Arthur Wilkinson was born on 10th August 1915 and joined the RAF on 5th November 1934 as an Aircrafthand. After four months at No. 1 RAF Depot Uxbridge he was posted to RAF Gosport. In November 1935 he did a course at the School of Technical Training Manston, after which he was posted to RAF Cranwell. Wilkinson applied for pilot training, was selected and on 12th June 1939 he was remustered as an Airman u/t Pilot and began his initial training course at 22 E&RFTS Cambridge. He moved on to 6 FTS Little Rissington on 19th August. He qualified as a Sergeant-Pilot on 23rd March 1940 and went to 6 OTU Sutton Bridge on 27th April. 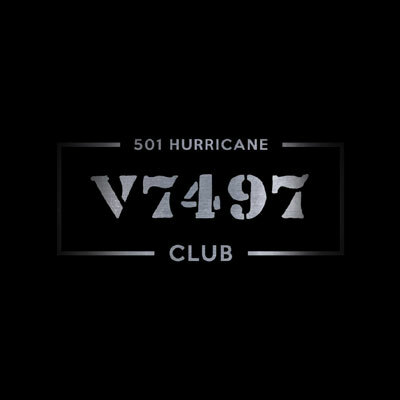 501 Squadron – After converting to Hurricanes Wilkinson was posted to PDC Uxbridge on 15th May for allocation to a squadron in France. He joined 501 Squadron there on 22nd May. The squadron was withdrawn on 19th June and reassembled at Croydon on the 21st. Landing at Gravesend in poor visibility on 7th August Wilkinson collided with Sgt. EF Howarth. (Howarth was later killed in a flying accident) Both men were unhurt. They made no further flights with 501 and both were posted away to No. 1 (C) OTU Silloth on 12th August, where they converted to Ansons. Wilkinson and Howarth both joined 48 Squadron on 5th September, a Coastal Command unit. Wilkinson flew his first sortie on 11th September. He remained with 48 until 6th May 1941, being then posted to 2 CFS Cranwell for an instructors course on Oxfords. As a QFI, Wilkinson went to 6 FTS Little Rissington on 16th June. After a short BAT course at 7 FIS Upavon he moved to 6 (P) AFU, also at Little Rissington, on 6th May 1942. Commissioned from Warrant Officer in August, Wilkinson returned to 7 FIS Lulsgate Bottom on 23rd February 1945, remaining there until being posted to the instructing staff at CFS Little Rissington on 28th April 1946. Wilkinson transferred to the Secretarial Branch in February 1948. He retired from the RAF on 10th August 1970 as a Squadron Leader.